Grand Valley Region Citizens for a national park are proud to announce that Palisade City Council members have joined forces with the Palisade Chamber of Commerce, and Palisade Tourism Board to offer a joint resolution of support for the proposal to re-designate the Colorado National Monument as a national park. Members of the Grand Valley Region Citizens for a National Park made a presentation to Palisade’s City Council members during their Monday, February 11th meeting. Following the presentation City Council members voted unanimously to adopt a resolution of support for the re-designation of the Colorado National monument to a national park. Palisade’s City Council later joined the Palisade Chamber of Commerce and Palisade Tourism Board to issue a joint resolution of support. The re-designation of a national monument to a national park does not happen without bold leadership and unflagging support at the local, state and Federal level. This grass roots effort to re-designate the Colorado National Monument represents democracy at it’s best. We highly encourage everyone to review the facts, ask questions, and if you support the idea of a national park follow the lead once taken by John Otto and now taken up by the cities of Fruita, Grand Junction, Palisade and so many other local organizations, businesses and citizens who hope to make a 106 year old dream come true….write a letter of support to Congressman Scott Tipton and Senator Mark Udall. 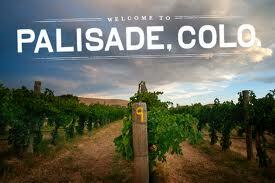 Three cheers for Palisade’s City Council, for its Chamber of Commerce and for its Tourism Board.